When should you start planning your ski trip? For me it should be at least six months in advance to your trip, more if you are planning to travel in school holidays. If you are travelling in the shoulder season (low season), such as early December – before the 20th), January, March in Europe (not in the US and Canada as they have Spring Break) and April (outside of Easter weekend), you can plan a bit more on top of the time and maybe see how snow conditions are. Ski Touring Vallée de Saint Bon – Les Trois Vallées. For me, I need to know I have a trip in sight to be able to cope with routine. I always have my winter trip arranged by July (we go skiing with the family in February), and I do reserve the flat we use year-on-year as soon as we leave the place when our week is finished- so I book it one year in advance! That is because I have such a great deal, and my kids love going back to the same place, that is a no-brainer. So where to start for planning your ski trip? Well, you can try to start thinking where you want to go. Talking of the Northern Hemisphere- if you live in the UK as we do – are you going to drive (so that is only Europe and it would be France, Switzerland, Italy and maybe the Pyrenees’ or Austria, or fly, where you can add also the US, Canada or Japan. You can see the different websites with information on resorts and try to sort what resort is for the type of skier/boarder you are, or which one caters a diverse group. It is fast, it only takes 35 minutes to cross on top of the train, and if you drive with enough time you can go and reach the Eurotunnel terminal in Folkestone, grab a quick breakfast and be ready to go. Going in the ferry takes 1½ hours. If the ferry moves, I get dizzy immediately. Plus, if the weather is too bad, the ferry might be delayed. If you are going to fly, think if you are taking your own equipment or you are going to rent. Swiss is the only European airline I am aware of not charging for taking your skis/snowboard and boots with you, which is great! But then, you should be thinking on flying into Geneva, Zurich, or if you go in the weekends of January and February, fly into Sion, great for places such as Crans-Montana. If you fly other airlines, see if they allow taking bags of 23 kg (usually one) and/or 20 kg (which is the case with low-cost carriers). Those three kilos difference might be deadly, so try to weight your bag prior to your trip, to avoid having to open your bag in the airport and trying to get rid of weight. Then, are you going to arrange your trip yourself, or use one of the renowned tour operators? Tour operators are great if you want someone taking care of all things for yourself: flights, land transfers, lodging, meals (or some sort of meals, maybe breakfasts, maybe half board, maybe chalet meals), as well as lift tickets and arranging ski/snowboard rentals and ski/snowboard lessons. Top 4 Kleine Scheidegg – Friends having fun. Tour operators also sell you self-catering, for those wanting to have the freedom to eat at their place and maybe go sometimes for meals outside. I am helping clients organise their bespoke trip, with the knowledge I’ve got through years in the business and living and working in South America, North America and now in Europe. If you want help, please visit our Travel with Us tab on the website. But if you were penny conscious, maybe you should do your own arrangements. Using the likes of Booking.com and Airbnb, today is not that difficult. You can always have a shock that what you’ve booked what was not expected, and maybe you are not exactly where you would have preferred to be -but well, that is the premium you pay for someone who knows and have been there/done that. It still can go well if you do it by yourself. That is how I’ve started travelling myself when I was young and got into the ski tourism business. If you are flying, then you need to find a company that sells transfers and see which one is best for you, or if maybe renting a car would be a better option for you. Please note that if renting a car in Europe in most countries you are obliged to have snow tyres and/or chains on board. Cars from rental offices offer that, but not necessarily are included in the price – remember to request them in advance, more if you are travelling in high season. The obvious thing is to remember that in Europe you drive in the right! It is pretty easy to forget this detail and get into trouble! Some people make the change easy, like my husband. For me it is too difficult! If driving, maybe you want to pull an all-nighter, but I would not suggest that, as first, it is a long drive usually, second, you arrive completely wasted, and you need your rest to endure skiing the whole week. We always choose a place where to stop for the night. So that means reserving a night lodging mid-way and booking it in advance. An OTA is perfect for that, such as Booking.com or Expedia. You can see the map of the road you’ll take on Google Maps and estimate the total time to your destination. Then you can decide where to stop. Always the first part of the trip is pretty straight forward, and getting to the mountains is where the story can get complicated. If getting to your resort is through a difficult road with lots of hairpin turns (tornantes), then be sure to hear to the local road radio or read in advance if the roads are clean. The same would be for the way back home. We try to drive the most on the first day – usually a Saturday, and stay more near the Eurotunnel terminal, so we usually stay in Reims or Troyes on the way back. Then on the Sunday, we do not have more than 2 or 3 hours drive to the Eurotunnel Cocquelles terminal, so that is not so tiring, and we can take a train around 3 PM and then arrive in London not so late. As per lodging, I look at sites such as Airbnb and Homeaway, and see what is on offer. You have to look at the map of the area and be sure if you will need to take the car to the ski area’s parking lot (if you need to pay per day or it is free), or if there is a ski shuttle that takes you back and forth to the lifts, or if you are lucky, and you are ski in/out. You can buy your lift tickets at the area. If you go every year to the same resort, save the plastic lift card as you will not need to pay the extra EUR 5 per plastic card each year. The lift office can recharge your card with your new lift tickets. Another thing is if going to the States and Canada, and same for many of the deals happening in Switzerland. There it might be interesting to buy your season lift ticket first, as with all the conglomerations of ski resorts, now everyone is interlinked, and the best option might be buying a ski season, if planning to ski more than a week. Just check our section of Ski Passes News to see who has what and what news are going on in this hectic section of the ski industry now. Check Yeti. Photo: Tom Lamm. Something I always do is to reserve the ski lessons in advance, be them group lessons or private ones. If you always go to the same resort and you know your instructor, you do it directly with the ski school, but I’ve discovered another option, which I’ve thought was pretty good, that is using CheckYeti.com. It is an online platform and mobile app where you can look for lessons in hundreds of resorts in Austria, Germany, Switzerland, France and Italy. You can find not only ski and snowboard instructors, but also mountain guides. And sort the language you need them to teach in, type of activity (private or group lessons, freeride, kids or adult lessons, you name it) and the duration of the lesson, being one hour or two, 1 day, one week, etc. You should download their free app – either for Android or iOS . Use CheckYeti to book your lessons prior to arriving to your resort of choice.In this website or if using the apps, you can see the customer recommendations and what each instructor or school is best for. Plus you have no booking fees, so using them is a no brainer! You can be assured you’ll have a top quality teacher waiting for you when you arrive at the resort of your choice! And the app is pretty simple, as you can see from the below pictures: You choose your resort, then you see the options in that resort, you can sort the responses, and you choose and compare, and then decide and book! CheckYeti App on my Iphone. I am looking for instructors in Zermatt. CheckYeti app on my IPhone. I am seeing now for a group lesson in Zermatt for my kids. CheckYeti App. Here I am checking how about maybe getting a private lesson for my kids? And here I’ve put the dates on the CheckYeti app and I am ready to select what I am going to book! As easy as that! Now another important thing for you to think is that if going to the mountains, in many resorts you need to book where you want to have lunch. What I usually do, is going early in the morning to the place we are interested in, and asking to book a table for 1.20 pm, for example, when I know that my kids have finished their ski lesson. The same goes many times for dining options in town. Some places can be really busy, and if you do not reserve in the morning for the night, you will not be able to go out for dinner until 9.30 PM at the earliest. I think that is nothing better than planning for a trip, and for me, nothing better than planning for a ski trip! Even when I get old and frail and won’t be able to keep on alpine skiing, I might go only for snowshoeing, or do more cross-country. Just walking in those snowy landscapes and breathing the clean, crisp, mountain air makes it for me! As I’ve said before, if you need help in planning your trip, please visit our Travel with Us section of the website. You can check also our article on Driving to the Mountains and Packing List for your Ski Family Trip. Or see the example of our last driving trip through Italy and France towards the mountains. 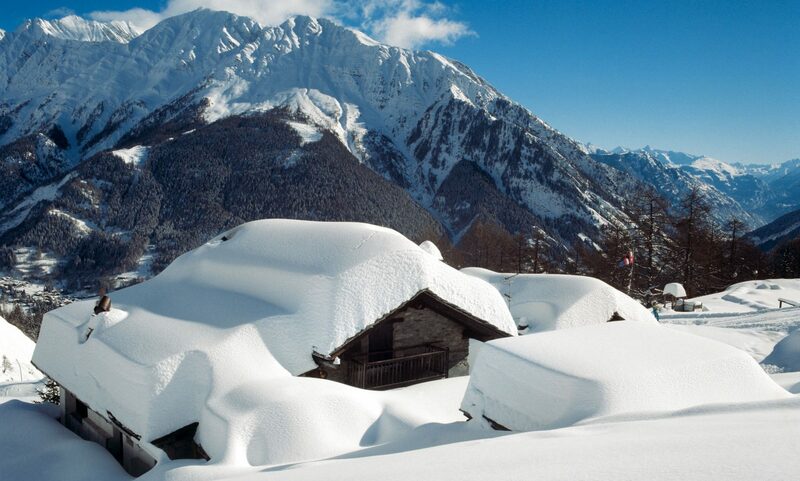 Or see the first part of the ski trip in Pila, in the Aosta Valley and the last part in picture – perfect Courmayeur. Featured Image: Shot of Heavenly Mountain Resort during the Mountain Travel Symposium 2018. Photo by: The-Ski-Guru. Planning your ski trip. Next PostNext The IKON Pass expands regional access into the Pacific Northwest, Midwest and Northeast.